SSBU is one of the best fighting games at this moment and it keeps growing bigger with the Smash's team still working on new DLC characters and balance updates. Our goal won this article is to give you more in-depth knowledge, analyzing the basic mechanics of the game & more! Greetings my friends! Today I’m here to share with you some of the basics about Competitive scene in SSBU, for those who want to take a step for real challenging matches or simply improve their playstyle. What do I mean about “the basics”? 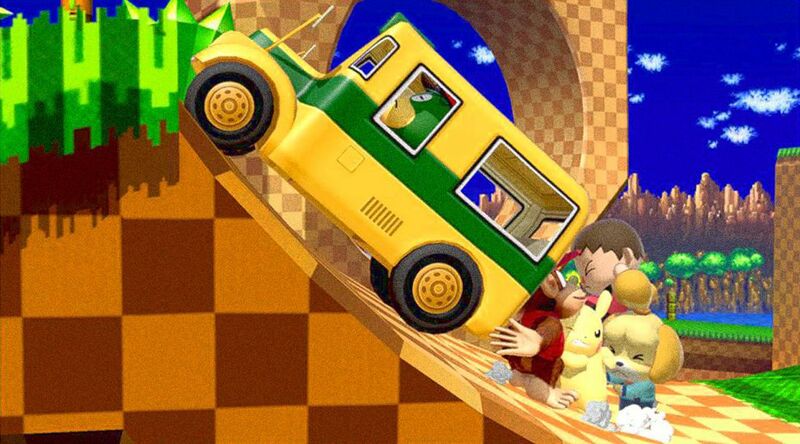 Well, things like a better usage of your character’s moves, know how to start making mind games which lead you into taking stocks and how to get back to the stage or make your recovery safer are some of the basics I will cover in this article. Charecter Selection Screen, Super Smash Bros. I know this is kinda obvious but that doesn’t mean is not important. The first thing you should start with is picking a character you like for and practice either in Training mode, Smash mode vs CPU, go Online to play with real people or if you have friends that can help you with, it’ll be amazing! The main thing is: you have to play with your character until you familiarize with the range, speed and lag of each attack and specials, damage and shield damage, movement speed, jump height and strings/combos. Watching game-play videos about the character you are interested in, is also a good way to recollect data and get used to it’s playstyle. Keep in mind that each character has unique playstyle. Practicing different characters and tactics will make you wiser on tactics of the whole roster and their possible combos’. For example, Ike is a powerhouse, with very nice disjointed range because he uses a sword, so you’ll always want to take advantage of said range. Ike’s bread and butter for starting combos and then killing is Nair (Neutral Air) because it has ridiculous coverage and speed, and leave your opponent defenseless for enough time so you can land another hit. Nair’s also a safe move but don’t spam it too much or it’ll be predictable. 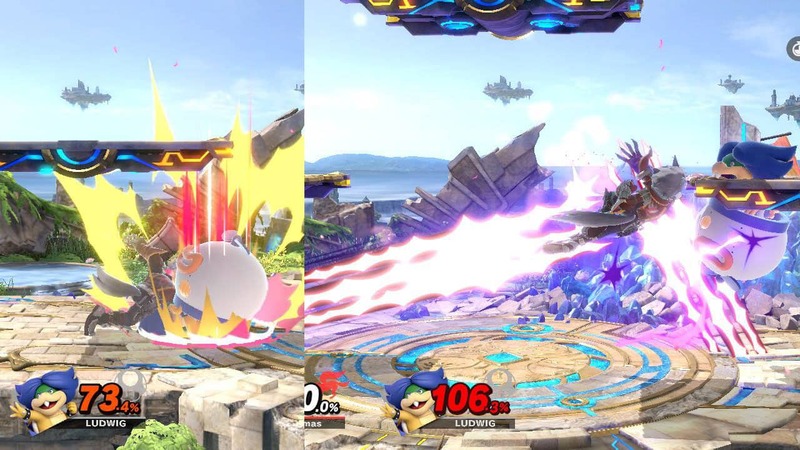 At lower percent you can chain Nair into Up Tilt or Side Tilt, I prefer Up Tilt because it’s more consistent and it does more damage. 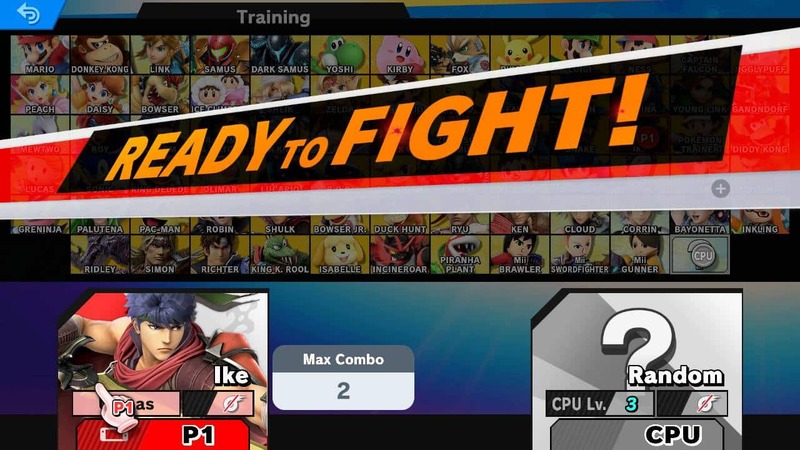 In training mode you can check if it’s a true combo or not, as in the image below. 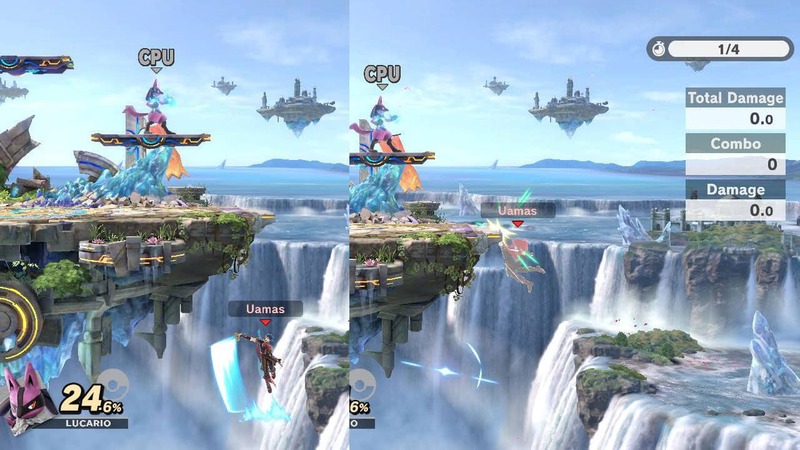 When at higher percent, neither side nor up tilt will connect BUT now you can combo with aerials, Fair and Uair are Ike’s best options. This kind of knowledge – meaning combos, comeback mechanics, and knowing what enemy has in his sleeve for you – is what you need to succeed. In other words, identifying the best course of action depending on what you want to do and before you notice you’ll be making big plays. Now that you feel comfortable with your character, the next step is getting stocks. What’s the best way for doing that? 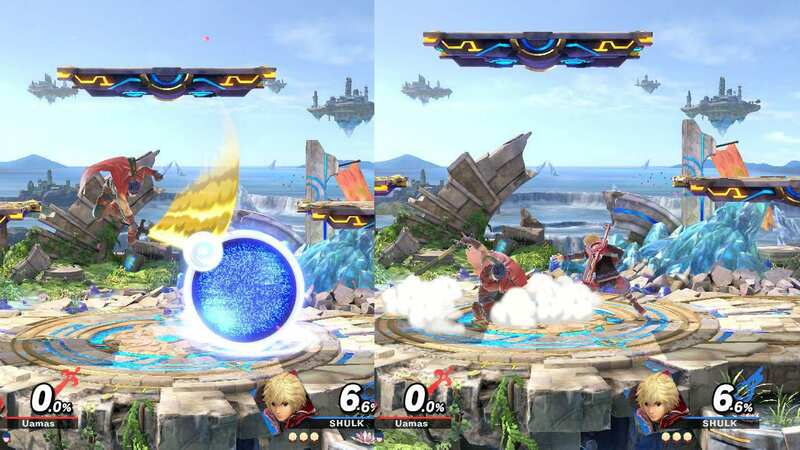 Strings/combos are your best damage options, but making a safe attack, even if it’s just one hit, is better than YOU getting damaged simply because one hit can be more than enough to take control of the match, or lose it if you take that hit. Grabs are an excellent way to rack up damage. Most of them can either chain into a combo or even get a stock, depending on your character and which throw you use. 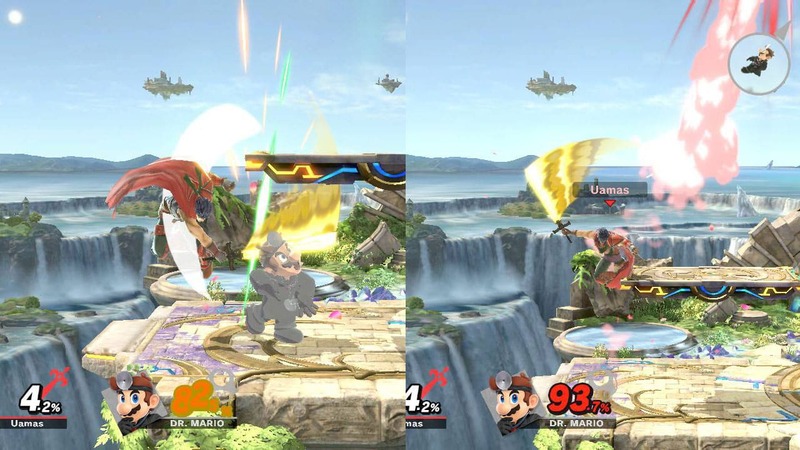 As you can see in the image above, Wolf’s Down Throw can chain into Wolf Flash (Side B) angled down, both the knockback and damage of this simple combo are huge. However, this combo only works on opponents at around 50-75% damage (or even more %), so always be aware of your choices for combos depending of how damaged your opponent is. How can you connect a clean hit? This is where mind games come into action – in fact every move you make counts to distract or leave your opponent open for an attack. Spotting your rival’s habits and punishing them are a big part of mind games. When you attempt an aerial attack and you know your opponent will shield and grab, then you can either space your attack correctly so the fail grab will be punishable or do an empty short hop/jump and grab your shielding opponent before you get so. Another easy way to build up damage is juggling, and combined with mind games, can grant you an easy stock or big damage numbers. At this very moment, when you manage to send your opponent upwards, you just have to keep the pressure on it as long as you can in the air. When you’re sure an air dodge is coming, wait for it and punish when the invincibility ends, then continue juggling. Mind games are what pro players always do while in a match (No sh!t Sherlock🤣) but I wanted to give you a couple of simple examples for understanding what these are. This so tricky considering your character’s recovery options. It will take riskier decisions when trying to get back to the stage, for example: Marth has one recovery option: Dolphin Slash (Up B). Even though is only one move, it is way too fast to react against, making it difficult to interrupt and it covers a pretty good distance. You can also use the first slash of Dancing Blade (Side B) to stop for a bit your falling momentum. Now, let’s take a look at Ganondorf: Dark Dive (Up B) and Flame Choke (Side B) are your alternatives when recovering. 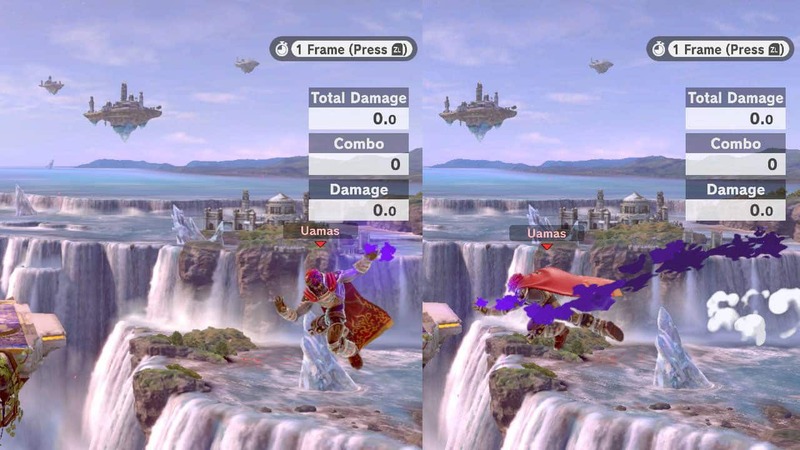 Both of them are susceptible to attacks because they’re kinda slow and it is not that hard to anticipate any of them, but Flame Choke can be fatal if you manage to grab your opponent at the edge of the stage, as it will take both characters down to hell (Ganondorf will lose the stock first or even release the opponent out of the grab). It also depends on the right timing. Delaying even a bit your special attack for recovering could be enough for saving the stock. If you always recover the same way, your opponent will figure how to intercept you. So try to make it back in multiple ways each time, and don’t forget using the sideway air dodge. 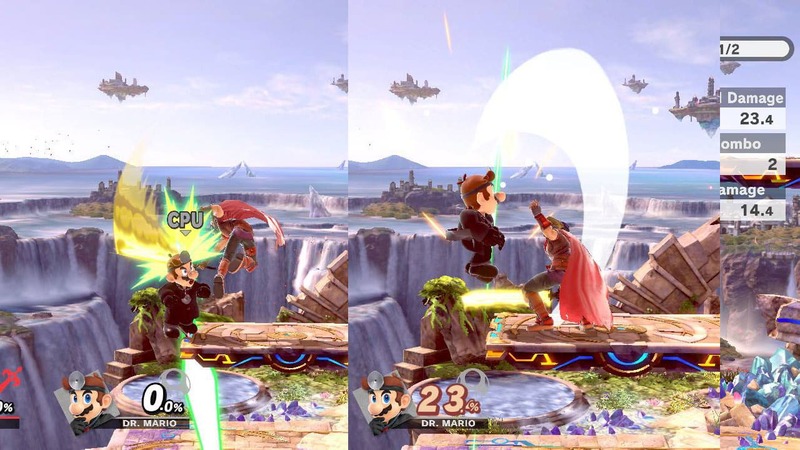 This requires a lot of practice to successfully grab the ledge, and this is because if you fail your air dodge to make it back, then you’ll probably lose that stock. 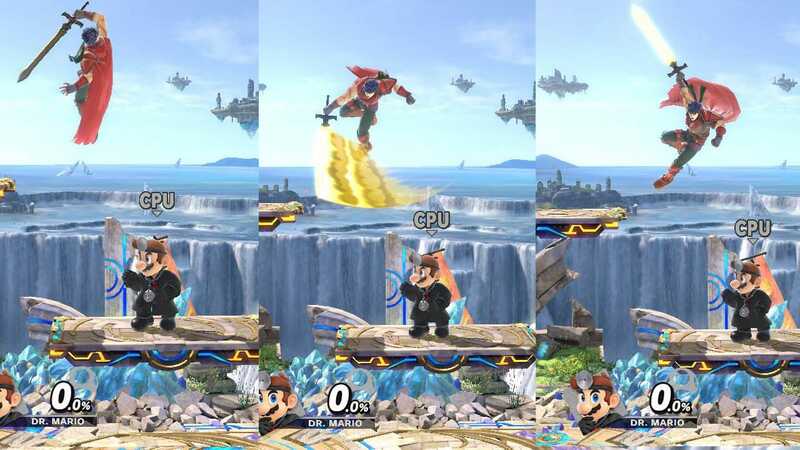 When you manage to grab the ledge, you have plenty of options to recover also: normal get up, roll, jump or attack. 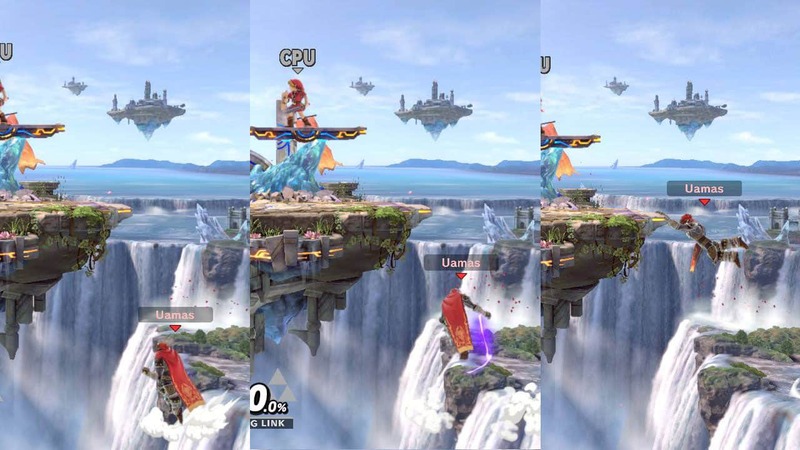 Mixing the way your recover from the ledge is important too, otherwise you’ll be predictable and your opponent can the advantage off of it. As a side note, I’m not just describing attacks and/or specials or saying obvious things, what I want to point out in this section are pros and cons of each move so players take in consideration every detail about recovering and, at the same time, know how your opponent could try to recover, this is very important when at Competitive. Well, this is all from my part for now, thank you so much for making it to the end of this article, I really wish you enjoyed reading all of this but most important, that all of this information will help you to become a better player and make this fantastic Smash community grow even bigger, cheers and see you next time!